Yes it is. What type of reward are you going to have . For voting, and donating. PLease make a list or pm me later. Thanks man. A staff report section when a staff has abuse their powers eg giving rare items to friends and etc! Oracle aka MrBoiBoi wrote: A staff report section when a staff has abuse their powers eg giving rare items to friends and etc! If there is a GM that abuses his powers, me or Physical will know. Then I'll have a read through the website suggestion sub forum. Refund appeal section where people lost their items and want a refund but must show SS that they have the item before! Oracle aka MrBoiBoi wrote: Refund appeal section where people lost their items and want a refund but must show SS that they have the item before! How could you know that you would lose your item? or you would be so happy with your item, that you would make a SS. maybe when before a server restart or they have a very good or rare item ask them to take a SS so it an be a insurance? Oracle aka MrBoiBoi wrote: maybe when before a server restart or they have a very good or rare item ask them to take a SS so it an be a insurance? But personaly i think its useless. 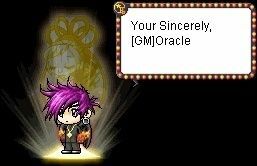 The GM's should know hwo they give an rare item to. And MSI's everyone should make a SS of. A announcement section for the lastest server updates or something? Oracle aka MrBoiBoi wrote: A announcement section for the lastest server updates or something? it's under the "server updates". Adding more legend!! A legend for owner, forum admin & gamemaster, forum admin, gamemaster and donator! Make a donation section for the prizes, amounts, paypal link, your adress(if you allow donation by mail), and how to show your donaton. Its physicals choice. He already has a donators group. And why not make some money for this servers advertising. You know you can buy a gold member thing on private server sites that automatically gives us 100 votes. So in my opinion, if people want to, they can. It makes their time more enjoyable and probobly spread the word of our server more. That's just my opinion. Well see what physical wants. Yeah, I would realy like a donating page. Cuz then Physical is actually doing something wich he can earn money with.